San Diego County’s live operator service announced Monday that it will begin assisting callers by providing call records to nonprofit organizations that can offer help in unanticipated areas. The service is employing new technology to help connect callers with programs and services they may not be aware of. 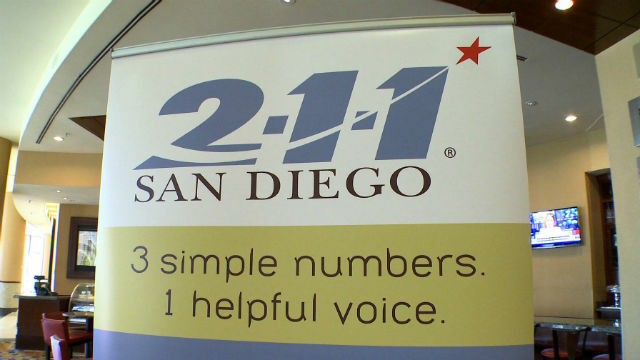 2-1-1 operates a free, 24/7 confidential phone service in 200+ languages that covers all of San Diego County. The organization has connections to more than 6,000 community resources in the areas of health, wellness, housing, utilities, military and veterans’ services, food assistance, disaster support and community data. Operators in Kearny Mesa have connected more than 1.5 million clients to resources since the service launched in June 2005. The nonprofit organization was started with county funding in 2005. In addition to county support, 2-1-1 San Diego now also receives fees from service providers such as First 5 San Diego and San Diego Gas & Electric to cover most of its costs.